Please note: The main colour of this scarf is muted orange, not bright red as may appear in some browsers. 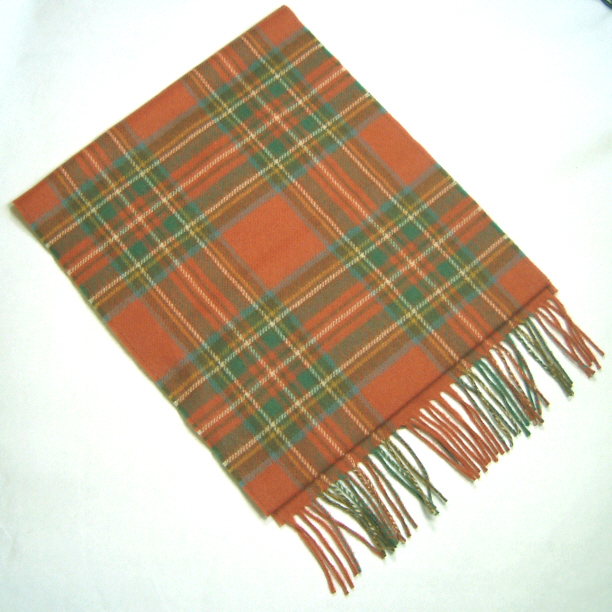 An Antique Buchanon Tartan Scarf in lambswool. A traditional Royal Stewart Tartan bow tie with matching neckband in a pre-tied style.